Your satisfaction is our priority, we will do what is necessary to achieve it. All our team joins me in welcoming you in the best conditions. "Economical hotel for business and pleasure. 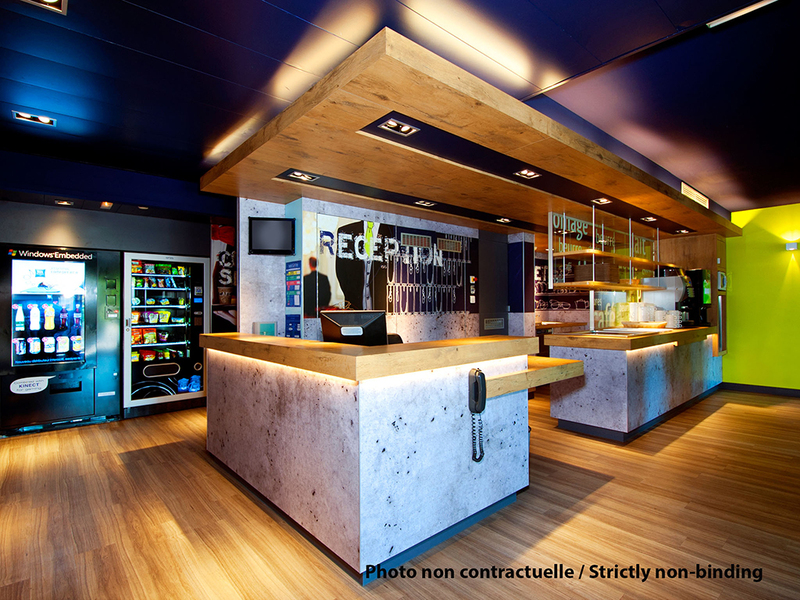 Easily reached by the A20 motorway from Paris or Toulouse, close to the city centre and its historical heritage, the Ibis Budget Cahorsl Hotel welcomes you for your professional or tourist stays. The hotel of fers 77 air-conditioned rooms and free WiFi. Arrive anytime, car park, swimming pool and optional on site dining." Cahors is known worldwide for its wine but not only that. Come and visit our old town with its Pont Valentré (medieval structure), the Saint-Etienne cathedral, celebrating its 900 year anniversary, and its prototypical alleys. Gourmand or Gourmet? The Ibis Kitchen welcomes you every evening to whet your appetite! Its varied menu will satisfy all your cravings! The Ibis Kitchen Restaurant offers seasonal French cuisine.